TUESDAY, Dec. 4, 2018 (HealthDay News) -- If you love rice, you might be wondering how you can make it part of healthy meals. Whether you're trying to drop pounds or stay at a healthy weight, some adjustments will let you keep it on the menu. Rice belongs to the grain family. While grains are an important part of your overall diet, standard white rice isn't a nutritious choice -- it's not a whole grain. What's more, it's a food that has 200 calories per cup, so you want to make sure that you maximize nutrients as well as flavor. First, opt for brown rice, the whole-grain form, as often as possible. White rice has gone through a process that removes its fiber and many of its nutrients, including protein, iron and some B vitamins. There are many types -- and colors -- of whole grain rice to sample, including brown basmati, red rice, purple Thai and Chinese black rice. Popular Wehani rice is a whole grain, reddish-brown American hybrid of basmati and brown rices. Note that wild rice is another tasty choice, though technically it's not a rice, but rather a semi-aquatic grass. It makes a great medley when mixed with brown rice. 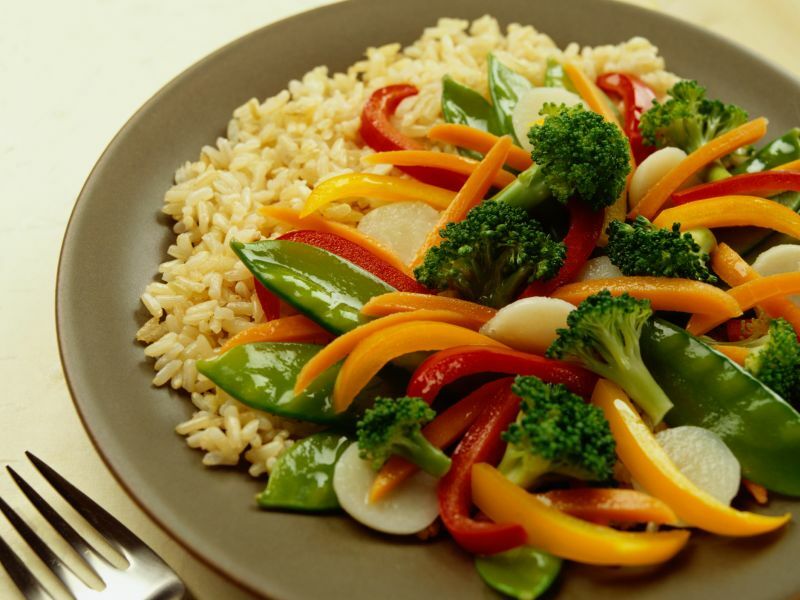 Also experiment with different ways to turn rice into a meal rather than a side dish. For lunch or a cold supper, load a whole-wheat pita pocket with cooked and cooled rice and chopped vegetables and top with a light vinaigrette. Or try a cold rice salad for a to-go meal. For your protein, add in chunks of turkey, chicken, tofu or nuts, then blend in a handful of dried raisins or cranberries and a sprinkling of seasonings. You can even get creative and make homemade sushi rolls at home. Use avocado and cucumber if you're not a fan of raw fish. Baked with milk, eggs, vanilla, a small amount of sweetener and cinnamon, brown rice can even make a healthy version of rice pudding for dessert or even breakfast.